The strong pre-season form of Jolyon Palmer continued as the teenager topped the time-sheets in the final Formula Two testing sessions to be held before the season kicks off this weekend. 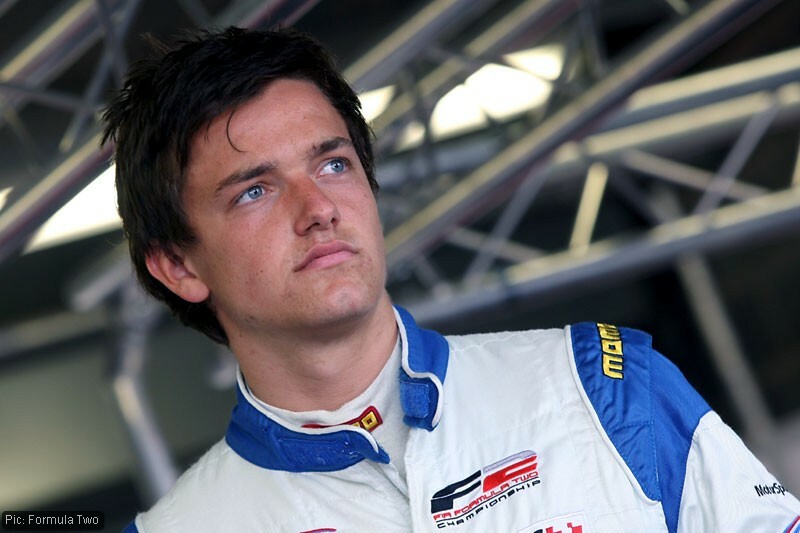 Palmer, the son of F2 boss Jonathan, was 0.113sec faster than Dean Stoneman in the last of four sessions held on April 12 at Silverstone, where the first two races of the nine-round, 18-race season will take place on Sunday. He said: “It has been another really good day and this one is probably more important being as we have an event here at the weekend. Having topped three of the four sessions today, I am certainly more confident this year and I am pushing a lot harder. Last season – with the honorable exception of a podium for Henry Surtees in his penultimate race – Palmer and the other British drivers were usually to be found clustered at the foot of the standings, but in this test they filled five of the top seven places. Behind Palmer and Stoneman came Denmark’s Johan Jokinen and Austria’s Philipp Eng, but close on their heels were Will Bratt, Tom Gladdis – now confirmed in one of the last remaining seats – and Jack Clarke. But the test was weakened by the absence of one of the pre-season favourites, Lithuania’s Kazim Vasiliauskas, who was at the time in danger of losing his place in the series because of the collapse of a sponsorship deal. His management team subsequently found new money and his place was confirmed – but he had lost the chance to test at Silverstone in advance of the race weekend. He said: “I was called by my management team and told that our main sponsor was no longer able to invest. I thought that it was all over for me this season and it was difficult for me to take. Categorised under F2, tagged under Formula Two, Jolyon Palmer, Kazim Vasiliauskas, testing.